My Story - Story Posts Project is an art and education project focused on truth and reconciliation. 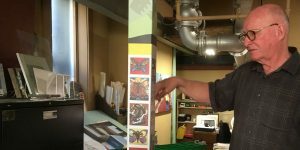 The project reaches out to marginalized Indigenous peoples, particularly homeless street people, incarcerated persons, youth-in-care and aging out-of-care asking them to tell their through art along with an artist statement that helps describes their work and it's relationship to truth and reconciliation, Indigenous teachings and lived experience. All artwork will be reviewed by a jury and exhibited in quarterly public exhibitions at the Edge Gallery an Urban Art Centre. 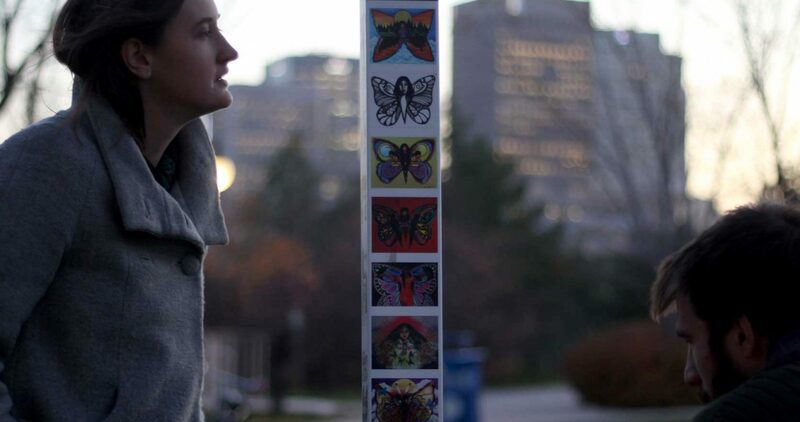 The second phase of the project involves digitizing and imprinted selected works of art on "Story Posts" (see sample attached) which will travel throughout Manitoba and be displayed in highly visible, high traffic locations including schools, shopping centres, public and private office buildings. The Third Phase is focused on developing our website and digital media platforms to showcases the Story Posts, allowing participants to share their story and artwork and help educate Canadians and indeed the world. those suffering with intergenerational trauma, men, women and children and will focus on cultural recovery. The project will also include schools and community organizations throughout Manitoba. There are really two communities directly involved, those creating art and telling their stories and secondly and equally important that audience that viewing the art, read the stories and exploring our website. From school children to the business community, from visitors and tourists traveling Manitoba to people around the world searching the internet. This project is intended to reach out to Manitobans and people around the world teaching them about Canadian Indigenous history, culture and the important role that art and storytelling plays in the truth and reconciliation process. The social return to the community are manyfold. For sponsors, the social return includes exposure, education, community involvement, and urban renewal. For community partners the social returns include strengthening their networks, sharing of assets, and helping to heal the nation. Finally for the public and participating, Story Post Project’s social return are education, a platform to tell/see/experience their stories, and most importantly, to understand and heal. Education and healing are the project’s main mission and therefore main social return. - To put into practice the TRC Calls To Action to educate about Canada’s colonial. history and the lived experience of Indigenous people and the use of art in the healing process. Story Posts Project's mission is to address this trauma and help the healing process through art and storytelling. By building upon Indigenous cultural and oral traditions of storytelling, painting, and carving, We hope that these public displays and events will educate and challenge the cultural understanding of Canada’s past and the current reality and lead towards reconciliation and solidarity. residential school experience. Our 50 room former hotel is a dry, recovery based facility providing hope, help and homes to our primarily Indigenous clientele. We incorporate art, art based activities and storytelling as part of the healing and recovery process. provides new and emerging artists the opportunity to develop and present their creations in a professional and arts friendly gallery environment. The gallery is suitable for both visual and performance art, artists talks and educational workshops. The gallery also serves as a classroom and teaching space for youth, emerging artists, therapeutic programming, and rental space for community partners. The Edge staff provides programming both on-site and off-site including a regular two afternoons a week schedule in Studio 631 at the Red Road Lodge.